Now that we’ve gone through all of the features of the freemium version of the plugin, we’re open for questions! 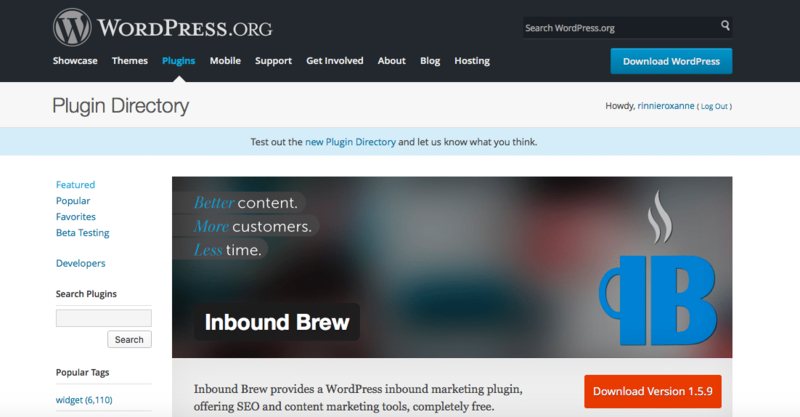 Here are some FAQ’s we get over here at Inbound Brew about our Plugin! Yes! Inbound Brew work with most themes. Where can I learn how to manage inbound marketing? Is this like Hubspot, Pardot, Infusionsoft, etc. ? We offer similar tools to these enterprise-level solutions, but in simpler, streamlined method that makes more sense for small business or smaller marketing teams. Can’t I do all of this with existing tools? Technically yes, but it will require you to manually download a dozen plugins and install them, then configure them, then hope they don’t conflict, then do a little coding to integrate it into your theme,and continually update them. OR, you can install one tool that works amazingly well, and focus on spending time generating leads. Inbound marketing is the most honest, thoughtful, value-providing way to generate leads. Do I need to use a specific version of PHP? You’ve got questions, we’ve got answers! Send an email our way and ask away!